Much of the research on Millennials paints them as aliens. They are a species so multi-dimensional, so multi-faceted that their natures are foreign to modern researchers. They are novel yet traditional; free-spirited yet practical; idealistic yet realistic.This is a generation pulled in many different directions, yet they have common values at their core. There is order in the chaos. At AIMsights, we’ve explored the nuance in this cohort and discovered many underlying motivations behind their behaviors. Millennials are looking for quintessential products for their homes, the tried-and-true products they know to be functional and long-lasting. But they are also looking for something fresh that fits their different, more intentional, and often, smaller homes. They want a new twist on the classics. This year at the International Home and Housewares Show (IHHS,) we scoured the halls for products that captivated the idea of “reimagined quintessence” — quintessential products that have been reimagined for today, yet preserve their timeless function. This new line is beautiful to look at, but its function is what earned it a spot on the top ten list. Each piece is thoughtful and each detail provides a purpose — like etched glass with measurement markings — for the perfect marriage of fashion and function. Cocktails are coming back in a big way, as shown in growing bourbon and whiskey sales. Millennials want to experiment with spirits, but they also want it to be simple, never overwhelming. The Crafthouse line makes spirits accessible. 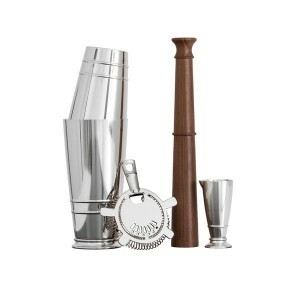 It makes it easy for even the novice mixologist to experience the perfection you get with accurately measured ingredients. Millennials love to cook. They enjoy trying new recipes, exploring new cuisines…and, of course, Instagramming the end results. For many ethnic recipes, weights are the preferred unit of measurement, over volume. But bulky kitchen scales don’t have a place in the intentional, curated kitchens of today’s consumer. The Compact Kitchen Scale provides all the measuring capabilities without the huge footprint. It folds up for easy storage in even the tiniest urban kitchen, yet can measure up to 11 pounds of food. The digital reader makes the scale quick and easy to use, and when the job is done, it can be quickly folded away. It’s no secret that Millennials like to pamper their pets, but bedazzled pet carriers and costumes are making way for more practical purchases. Millennials are looking for pet products that perform and the FurLifter from OXO certainly does. It’s a classic tool that removes pet hair — made even better with its new easy-clean feature. In short: it simply works. Clean-freak Millennials will love how easy it is to keep their furniture fresh, while environmentally-conscious Millennials will love its waste-free nature, as compared with paper-based pet hair removers. As IHHS and Houseware industry veterans, the AIMsights team was excited to see this new innovation in cookware. The Icon line offers all the benefits of cast iron – even heating, oven-safe, withstanding extremely high temperatures, no fat needed to cook — in a completely new way. Pieces are smooth and thin like ceramic and 30% lighter than cast iron. They can be used on glass and induction stovetops, which makes a big difference in how it can be used in the Millennial kitchen. It’s also rust-proof and chemical-free, and its non-stick properties improve with time. We look forward to seeing where this technology goes in the future! For urban-dwelling Millennials, space is at a premium. It becomes a challenge to fit their “stuff” in smaller and smaller spaces. The Casabella spinning standing mop solves this challenge beautifully. Spray mops are great for easy storage, but they don’t provide the deep clean that clean-obsessed Millennials are truly after. The Casabella spinning standing mop provides that quintessential loose-mop clean without needing a giant footprint in the linen closet. After use, the handy cylindrical cover slides down to wring out the mop in the shower or bathtub to easily dispose of dirty water. It’s a classic cleaning product designed to work in today’s Millennial home. Is there anything more quintessential than a birdfeeder in the backyard? It’s one of life’s simple pleasures, a staple in the classic home of the American dream. But city-living Millennials — many who don’t want to move to suburbia as they get older — haven’t been able to enjoy the trend. Until now, that is. 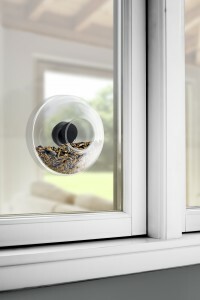 The Eva Solo Window Bird Feeder isn’t hung from a tree in the backyard, it’s attached to outside windows. Birds fly up to the glass bird feeder, giving inhabitants inside a fantastic up-close look at nature. It’s a perfect way to bring a touch of nature to the urban environment. Is there anything more quintessential than a KitchenAid mixer? For Millennials, who are waiting later to start families, and Boomers, who are increasingly empty nesters as their kids leave home, the large mixers simply aren’t practical. One- and two-person households don’t need to make large batches of food and smaller homes can’t justify an appliance taking up so much counter space. 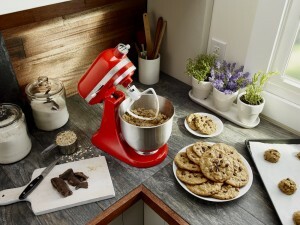 That’s where KitchenAid’s new model hits a sweet spot. It has a 3.5-quart capacity cup and is 20% smaller and 25% lighter than the original, which makes it a perfect fit for smaller households. It has the same powerful motor — for which there is no substitute — and all the attachments of the full-size mixer fit onto the Mini. Users don’t have to sacrifice quality and performance for the smaller size, which is exactly what today’s households want and need. Millennials love to try new cuisines and spend time with friends, and at-home entertaining is gaining popularity. For those looking for a more elegant option than a haphazardly-ripped sheet of paper towels, Sassafras paper napkins are a great choice. 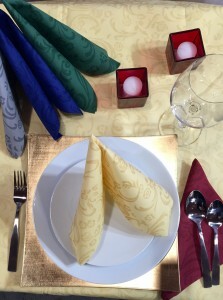 They provide the elegance of cloth napkins without the hassle of dry cleaning linens. We couldn’t believe they were paper when we saw and felt them at the IHHS booth! Sassafras offers many patterns and colors to match any decor, and the low price point allows customers to switch up their look without a huge investment. They also offer holiday patterns, which is a great way to celebrate the season without having to store holiday napkins the other eleven months of the year. We all remember heading to school or work with a brown paper bag and lots of plastic baggies holding everything from sandwiches to carrot sticks to cookies. But in today’s environmentally conscious world, consumers don’t want all that waste. 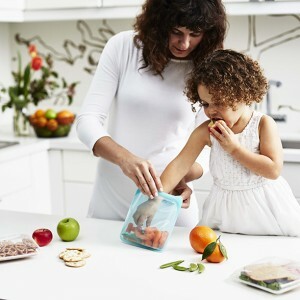 Stasher silicone baggies provide a welcome alternative to bulky storage containers. They’re a reusable alternative to the plastic baggies we all know. They are small in size, lightweight, and have an air-tight seal to keep foods fresh. The baggies are made of European food-grade platinum silicone and do not contain petroleum, PVC, or latex, making them good for us and for the planet. They’re also microwave- and freezer-safe, eliminating the need for transferring food to another container to heat or freeze. And after use, the bags can be put in the dishwasher for easy cleanup. Slow cooking is a big trend among Millennials. Their tool of choice has always been traditional electric cookers, but with concerns about chemicals leaching into foods, they’re looking for a better way. This classic clay cooker eliminates that worry. Organic unglazed Zisha clay enhances the dishes, intensifying the flavors and preserving nutrients in the food. 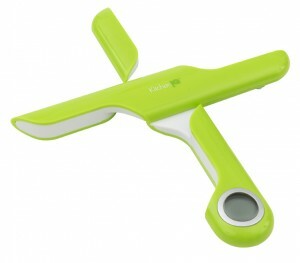 The timer is programmed with 10-minutes intervals (up to five hours,) making it easy to cook precise recipes. The rustic orange color is reminiscent of traditional cooking methods, which is a hit with Millennials as they search for reimagined quintessence. The cooker can also be used to cook rice and yogurt, making it a versatile tool for the adventurous chef’s kitchen. Which item would you most like to have in your home and for what reasons? What major trends have you noticed in your household and homes of your friends? 1) Casabella — Spin ‘N Dry Mop. I think it would be so much easier to clean the floor and not have to dirty or wet your hands by ringing out the mop. 2) KitchenAid — Artisan Mini Stand Mixer. I do a lot of cooking in the house and I think this is not too big and easy to move around. I won’t take up a lot of space would definitely get one of them. No-9- Stasher Silicone Baggies is my favorite item. Everyone who packs a lunch for themselves or their kids know how many of the plastic bags they throw away every day. 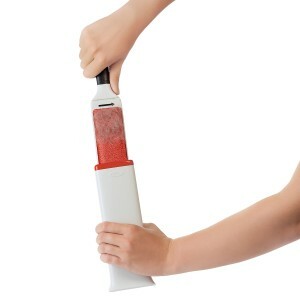 I like it that it is reusable, can be washed in a dishwasher. I also like it that it goes from the freezer to microwave. I would definetly buy this product. Love it. The Stasher bags definitely stand out for me. I have a four year old son, so we’re constantly having to bag up or tupperware up snacks. These would be a fantastic, quick alternative. LOVE that they’re dishwasher friendly! The window bird feeder also looked great. My son has recently fallen in love with watching critters in general, so having a bird feeder we could keep at viewing level that way would be a thrill for him. The Vitaclay stands out for me because of its multi-functionality. I currently own a rice cooker, crock pot, and yogurt maker…all separate devices! The idea of having one product do so much, would save me a ton of space. I also like that full meals can be made in just 30 minutes; this is much quicker than my current devices and would allow me to enjoy a last minute homecooked meal. I particularly like the rustic orange color, and think it gives it an authentic, home-cooked feel. The Silicone Baggies also stood out for me because of the reusability. I often prefer using glass tupperware for storing foods because I hate the idea of plastic bags. I particularly like that these baggies are microwave and freezer safe. I do wonder if they come in multiple sizes. Artisan Mini Stand Mixer. What a great idea. Lately, I have been looking at Kitchen Aid Mixers; however, in our rather small kitchen, counter space and storage is at a premium. Also, we bake and cook a lot; however, rarely do so for guests. For just the two of us, a smaller mixer would be an amazing choice. I have yet to see something comparable. The smaller size and lighter weight, would finally give me the chance to add a great mixer to my kitchen. 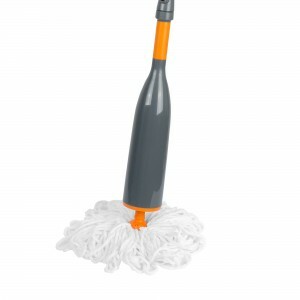 Spin n dry Mop – This is a product that looks good and seems like it would be a great fit for me. I love a clean home, and this appears to solve a problem. I like the fact that it doesn’t take up a lot of space and it appears it covers up the product and drys it out all with one simple cover. The only thing I am wondering is if you are able to remove the mop portion for washing purposes. I love the idea of reimagined quintessence. I really feel like it speaks to the millennial generation, as most of us are really searching for that sense of tradition and familiarity in an ever-changing world. And I really feel like most of these products speak to that dynamic! I think my personal favorites are the mini mixer and the silicone baggies. I feel like both products really speak to the notion of eliminating waste and that’s really something a lot of millennials can get on board with. From personal experience, I feel like the mini mixer would address a lot of my needs as someone who loves to bake and cook daily. I mean, sure, the traditional sized mixer is great as well, but the space saving capabilities and also the small batch options are really great for everyday use. KitchenAid has become a household name for its mixers and I feel like by creating the mini version, they’ll speak to a much wider variety of people. I also loved the idea of the silicone baggies. Again, if we’re considering the appeal of waste elimination and of space saving, these hit the nail on the head. Not everyone wants to lug around their tupperware when they’re bringing their lunch to work or school. It becomes cumbersome and we all know that, along the way, we lose a lid or two (or we take up entire cabinets with miss-matched pieces that we end up having to get rid of). The idea that these bags function in many of the same ways as tupperware would is extremely appealing. It’s even better that they don’t contain any harsh chemicals that most would be concerned about. My favorite item on this list, and what I think would be most useful in my home, are the silicone baggies. I think it’s very important in this day in age to be conscious of waste, and therefore this is the perfect item to symbolize reimagined quintessence! I have always been passionate about being environmentally friendly, and I have to admit that sometimes I get frustrated seeing all of the paper and plastic bags I use and throw away. This product is a 2-for-1 deal between successfully storing leftovers rather than throwing them out, and being environmentally safe and easy to reuse. My kitchen is small, so space is at a premium. We like to have versatile appliances and gadgets that can be used for many purposes. We have a few go-to pots and pans that we use all the time. Our Kitchen Aid mixer gets one of the few coveted spots in our very limited counter space because it’s a workhorse for us and we use it very frequently. When we first began sharing a household, we knew that this is one item that stands the test of time and has been well known as a reliable piece of equipment. We love that they come in a variety of colors to perk up your decor and make them decorative as well as utilitarian. I would really love to try out the cast iron cookware. My previous experience with cast iron is that I very much enjoy cooking with it except I find it very heavy and difficult to clean/season properly. I would really enjoy getting to try a lighter smoother version that does not rust! The multi cooker also seems like it would be interesting to try, I get home from work around 7 so anything that makes it easier to get dinner on the table is a huge help and it looks like it can be used for several different foods. I’d be happy to try out the mini Kitchen Aid mixer as well, but I’m not sure if there’s a need to have both that and the full-sized one. Just like last year, I’m having a hard time deciding on my favorite. If I still had cats/dogs, I would hands-down buy that fur-lifter. If it works as great as it looks like it works~ mama mia~ it is a must for pet owners. Also love the bird feeder and silicone bags. If I saw these products in a store, I’d definitely buy both of them. The investment in the bags would pay for itself, both financially, and in the “feel-good” arena, knowing I’m doing something to help the planet. But I think if I had to pick just one product to buy, it would have to be the Vitaclay Organic Multicooker. I used to cook in a clay pot many years ago and the flavors were amazing. I would soak the pot in water before adding all the ingredients and the meat would be unbelievably tender and juicy. Also, who doesn’t LOVE a crockpot meal? And it has me very curious about the yogurt maker, which would also be fun to try. I am once again amused how well the home and housewares industry seems to know the types of products that I would want for my home. I think they hit the nail on the head as they are developing products that are small and compact. I have a small home that we recently purchased and I know that I love having the newest and best gadgets to help me cook, but at the end of the day I am cognizant of the minimal counter space that I have in the kitchen. To maximize my household stuff, having items that are small, ergonomic, and have a great deal of utility. 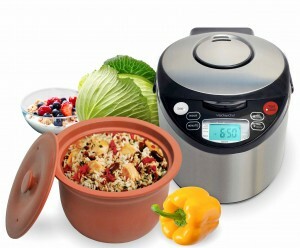 Of the products that I was most impressed with, my favorite was Vitaclay, smart organic multicooker. This is the one item that I will buy right now. It is funny when you have a name like “Smart Organic Multicooker” I first think that they are just throwing buzzwords to get my attention. My wife and I cook most of our meals at home and we love our rice/multicooker which allows us to cook large amounts of food for multiple meals. That said, I always worry that it has “non stick” materials that will get a scratch and will poison my wife and I. I love that this uses clay which is safer and hopefully won’t leach flavors which is a frustration of my current multicooker. This does seems like a very smart product and I like the fact that this is “earthen” and seems very well thought out. It seems very versatile to me, which is important because I have a limited amount of kitchen counter space and storage and this would meet many needs. It seems smart and something that I would use many times per day. This is defintely the coolest and most interesting. I actually have gone to the website to spec it out and learn more. With regard to KitchenAid — Artisan Mini Stand Mixer, I was quite impressed that KitchenAid is gaining understanding for people with minimal counter space. Unfortunately, I already have a artisan stand mixer, or I would go and buy this right away, because a 25% reduction is size is significant and I might even be able to leave it out. I like that it seems to have all of the best parts of my artisan mixer but in a size that is much better for a small kitchen. I am glad that there are more options for people like me. I also liked the concept of the Icon — Cast Iron Cookware too and see this as useful for my family. I have several sizes of cast iron cookware and it works great and is a go-to for many cooking needs. I like that this is lighter because my wife hates cast iron because it is so heavy. While I have gas now, I had induction and was frustrated that I had to buy new cookware. This seems very versatile. The last item, the OXO — FurLifter Furniture Brush, seems most useful to my family. I have tried many types of lint brushes and they work fine, but overall this one looks new, different, and something that will last over time. I have too furry cats, and I know this would be great for me. Having done some more research, I like that they have a model for furniture as well as garments, as well as on the go. These are all items I will likely buy on Amazon. You picked some great items and I am glad to see that my generation is being considered in bringing new and interesting products to market! One more thing, that I meant to touch on was the theme of re-imagined quintessence in my home and the home of people within my age cohort. I think that these products share the themes that we want functional items that will meet our needs, do multiple things, do things better, or helps me to do something quicker/more effective. I think a common theme for my generation is smaller homes and living spaces. If an items is compact, easy to store, or can do multiple jobs well, I think we are more inclined to purchase it. I also see a value being put on quality which I think is a rejection of cheap and poorly made products from China that our parents buy. For me, I would rather have one good item that lasts for a long time than multiple cheap ones. I think another theme is being environmentally friendly and healthy, which is very important to me. I want to minimize toxins in my life and be sustainable, even if it costs slightly more. I think that this theme is appealing and descriptive of the types of products that I want in my home. * I have read and agree to the terms & conditions.